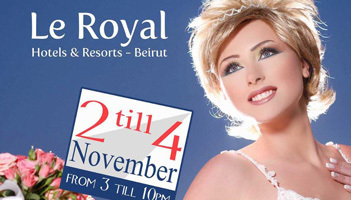 Dana Agency have participated in the Royal Wedding Fair that took place at Le Royal Hotel from Nov 2 to 4 from 3 till 10 pm. The fair grouped major wedding planners, florists, beauty salons, entertainers, etc. and a special stand for Dana Agency was there to promote their online marketing plans and their social media solutions.